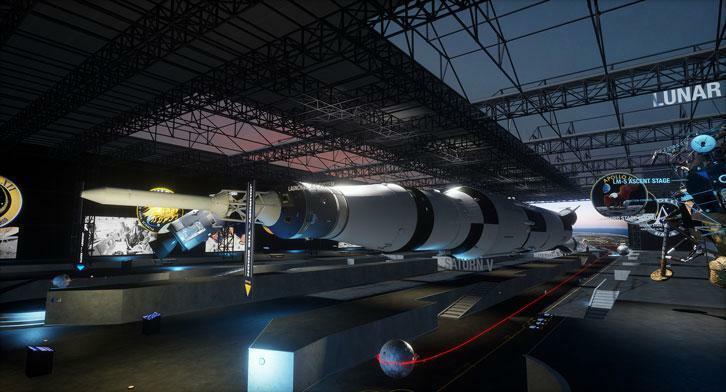 Sansar: The Next Generation Metaverse is Here! Rate this Article This virtual reality successor of Second Life is well-poised to become the first of its kind - a truly immersive, sandbox-based social VR platform that's filled with diverse player-driven content. 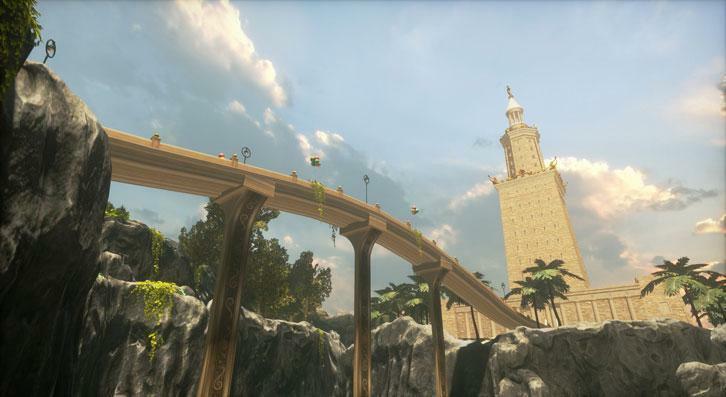 As of yesterday, Sansar., the next generation metaverse by Linden Lab and what many have called the virtual reality (VR) successor of Second Life, has finally reached the public in a highly-anticipated release. Available on HTC Vive, Oculus Rift and PCs (Windows only), Sansar is set to become a social virtual reality platform that will not only allow various individuals to create and share their amazing VR experiences; it will also eventually allow them to sell these experiences to consumers from all around the world to enjoy! Even at its launch, Sansar’s VR directory, Atlas, already houses a myriad of brilliant virtual experiences ranging from beautiful recreations of actual, real life locations such as landmarks and historic sites to completely fictional virtual worlds where whales can fly and islands float in the sky. There are even 360˚ video domes that function as a virtual cinema for you to watch immersive 360˚ videos, and hopefully in the future, movies as well as exciting VR games like Beach Basketball VR that you can play with your friends. Best yet, many of these experiences are in fact not created by the team behind Sansar but by creators who were given the opportunity to take Sansar out for a test drive and have come up with thousands of incredibly creative VR experiences... experiences that I’m sure they can’t wait to share with the rest of the world. Now, you may be wondering what does Sansar have that sets it apart from the several other social VR games, like vTime or BeanVR, that are already available on various VR platforms? Well, the answer is pretty obvious, isn’t it? These social VR games are just that – games! Their content is only meant to be consumed; to be used and not built upon. Players aren’t allowed to contribute anything “game-wise” either. 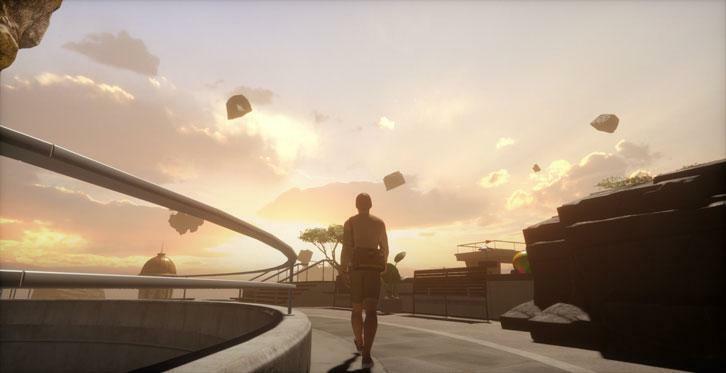 Actually, when you think of it, Sansar is very much like Second Life considering that it has transcended from being simply a mere game into a creative platform filled with various convenient tools such as the intuitive drag-and-drop editing where users can build their virtual worlds using assets from common 3D modeling tools or the Sansar Store. Each world can also be easily shared through a simple link to any major social media site or with whomever the creator wants. Similarly, Sansar will allow creators to build a business and even earn a living by selling their virtual creations through the Sansar Store. Creators in the community of 3D modelers, TurboSquid, will also be able to sell their creations at the Store, further adding to the increasing amount of assets that the Store has warehoused. Not to mention, due to the quality and detail in its 3D renders and the integration of a unique Speech Graphics’ tech which provides accurate real-time lip-syncing and facial animations for the avatars, Sansar is able to offer a much more fulfilling and realistic virtual social interactions with other users. Users will also be able to move their avatars realistically in the game via the use of VR controllers and the addition of the world’s frontrunner in full-body inverse kinematics (IK) technology. With so much potential under its belt, many prospective users will be surprised to know that Sansar is completely free to use! After all, everyone probably has an idea of how complex and expensive it is to create a virtual reality content, let alone a VR platform that allows its users to create VR content easily. But of course, if you plan on going full-time on this platform, it might be best for you to get a subscription (starting from $9.99/month) that will provide you with additional capacity and customer support. It’s just amazing how much Sansar will be able to revolutionize the virtual reality world as it is. I daresay that pretty soon, this next generation metaverse will be able to step out from the shadow of being simply the “virtual reality successor of Second Life” and become a success in its own right. In the meantime though, if you’re interested to find out more or even try Sansar yourself, you can check out Sansar’s official website. More screenshots from Sansar is also available on Flickr.